The foodservice industry is still many years away from fully automated food preparation with servers and chefs being replaced by mechanical systems run by artificial intelligence (AI). Despite the slow pace and steep resource requirements of AI development, there are many AI tech-driven trends in the foodservice industry already on the rise. Do not prepare to greet your new robot staff members just yet however. Most of these trends that are currently gaining visibility are limited AI systems that have their fair share of drawbacks that counter their benefits. 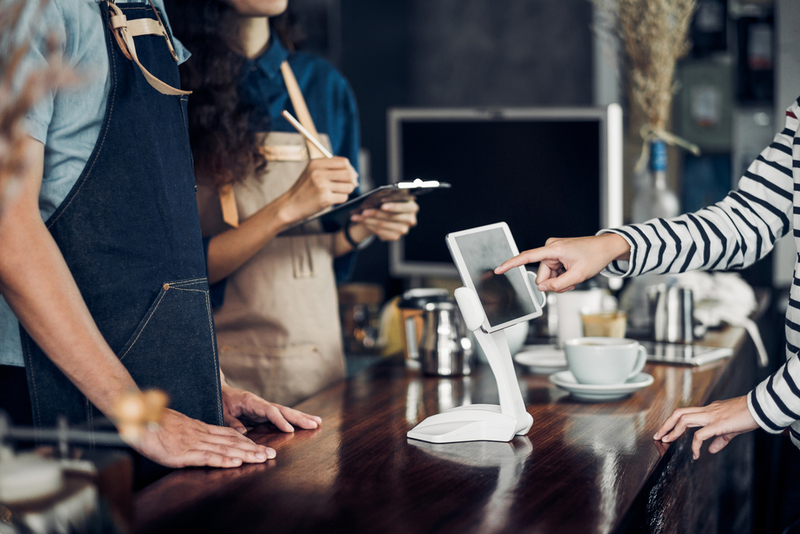 To help steer you in the right direction, here are the tech trends you need to know to keep your restaurant competitive now and in the years to come. Much like the automat diners of the mid-20th century, these restaurants take orders and alert customers when their order is up via kiosks or self-service tablets at the counter. Megachains like Wendy’s, Panera, and McDonald’s have begun to slowly implement these kiosks in select locations, particularly where they see high volumes of orders daily. These automated ordering systems often use a primitive form of AI to collect customer preference data and suggest additional items based on the foods customers are ordering on a particular day, the current season or even the outdoor temperature. A customer can even get an SMS or app alert when an order is ready by simply entering a mobile number when an order is placed. The system can even more accurately and effectively predict a customer’s ordering preferences and buying habits using stored data. Best of all, automated kiosks ensure order accuracy and are programmed to upsell, so they easily exceed their cost through labor savings and bigger ticket sales. They may not be a great fit for your establishment right now, but in the future, it may become the exclusive method of order placement when customers arrive at your restaurant. With the rise of UberEats, DoorDash, and GrubHub, quick-service delivery is becoming a necessity across the foodservice industry. To guarantee the most efficient and cost-effective delivery possible, many restaurants are implementing AI-controlled delivery route optimization. As orders come in, the system notes location, the nearest driver, and estimated time to reach the delivery address after the order is ready. Using a route optimization system means food gets to customers faster, and orders are correct nearly 100% of the time. Furthermore, it minimizes the expenses typically associated with delivery like fuel, time, mileage and wages for drivers. This means more profit and happier customers, which are both proven solutions for success in any restaurant. More business is conducted via smartphones or tablets now than ever before. Current industry estimates indicate 53 percent of all delivery orders are placed via mobile app, marking a 30 percent increase since 2013. Mobile apps implement similar learning machine technology to AI. They also track and predict buying behaviors just like kiosks in brick-and-mortar locations. If you want to skip the drive-through, place your order while you are still at home and grab your coffee and bagel to go without having to worry about anyone messing up your order. If you want to forgo cooking dinner, you can also save your data in the mobile app and have your dinner plans handled in a few seconds by making a few taps on your device. Mobile use is anticipated to continue its rapid growth. 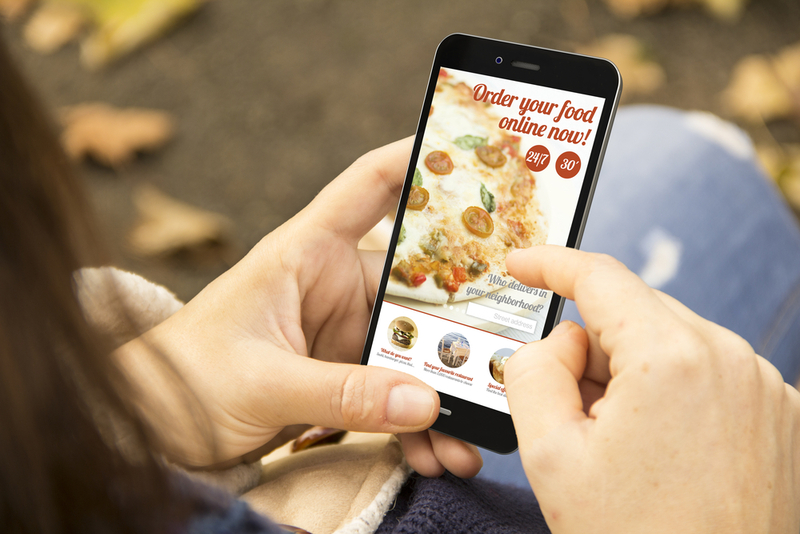 So, if you don’t already offer a smartphone app for takeout or delivery, you need to get one in place quickly. Crafting the perfect customer experience will not happen if you never collect and analyze customers’ opinions about their dine-in, take out, or delivery experiences. Currently, one of the most common applications for AI in foodservice is evaluating customer feedback and providing trend tracking for inventory management and staff scheduling. While not yet fully automated with 100% accuracy and effectiveness, these systems are becoming more advanced every year with continuing AI development in other business sectors. If it is financially feasible, work with a service provider who can look at your data monthly and help you plan your ingredients, orders and scheduling to align better with customers’ buying and ordering habits. True AI-controlled foodservice is not here yet, and it will be a while until the technology is ready to replace human staff. The important takeaway is that AI-controlled systems and AI-assisted apps and services can help you do more with the resources that are already at your disposal, so, you can work smarter while cutting costs and boosting your bottom line. Whether you are using online ordering and mobile apps already or you have just started dabbling in digital services for your restaurant, these AI-driven tech trends are definitely something to keep an eye on.